I remember very well the piece that Bill Giles created for Upfest 2017, and this piece, in a similar style, is bigger and better. 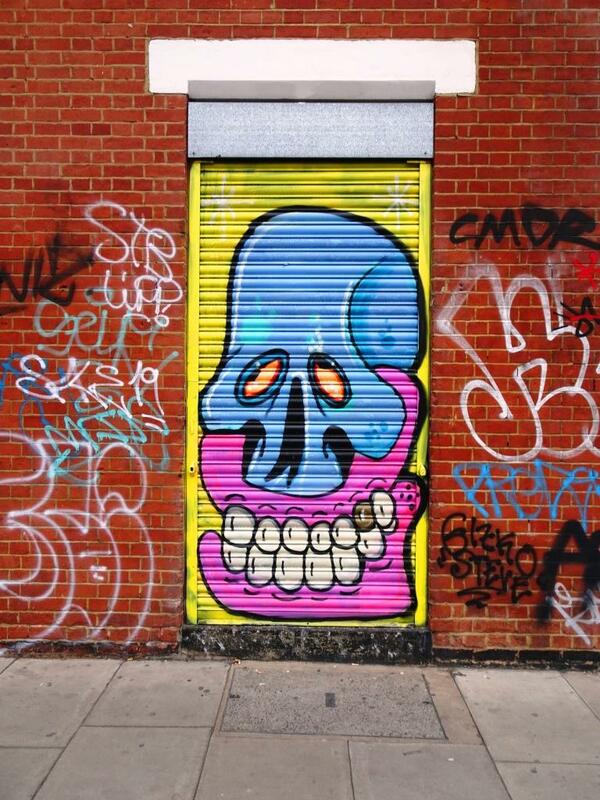 Bill is a Bristol designer/illustrator and street artist whose ‘melting’ characters are instantly recognisable. This piece, at the Tobacco Factory, is classic Bill Giles and has real class. It is great to have a picture of the skecth stage of the work to get a feel for how the piece gets from the black book onto the wall. I like this piece, and rather wish he did a little more street work than he does. Imagine what this would look like at Dean Lane for example. A lovely piece for Upfest.